Keyword research is the very first – and most important- step in any content SEO strategy. It’s also the one thing we can’t automate or execute for you. On top of that, it’s super hard. What we can do, is give tips and feedback on how to execute proper keyword research. That’s why we launch the Yoast Keyword research training today. The Yoast Keyword research training is part of the SEO copywriting training as well. We decided to sell it as a separate course to serve those of you that know how to write properly, but could use some help with their keyword research. $ 99 - Get the Keyword research training now! The Yoast Keyword research training is a small course. It contains 3 modules (Introduction to keyword research; Executing keyword research; Beyond keyword research) and costs $99. You’ll receive 4 training videos, lots of accompanying texts, and challenging questions to make sure you understand everything. 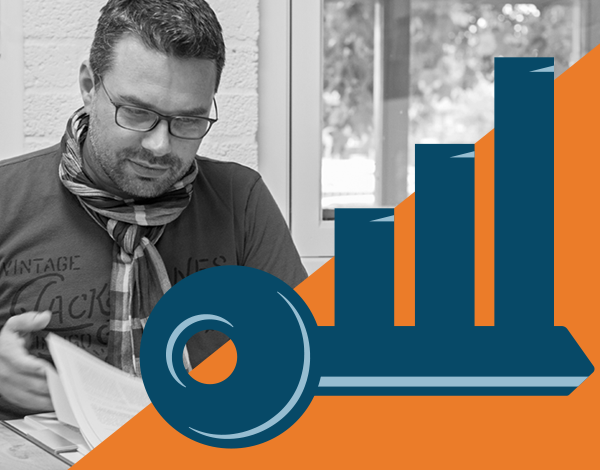 In one of our training videos, Joost de Valk explains step by step how to execute your keyword research and how to prioritize the keywords you would like to tackle first. After this video, we’ll ask you to do an assignment. You’ll receive feedback of one of our Yoast team members. After finishing the Yoast Keyword research training you’ll be totally able to execute your own keyword research. If you finish the Keyword research training successfully, you’ll receive a certificate and a badge to put on your site.